Our many industry accreditations are testament to our stringent business processes. Without a community, a development is just another place to live. We are proud of our robust business processes and uncompromising attitude to compliance and risk. We strive to create and maintain a development where people want to live, work and enjoy life. 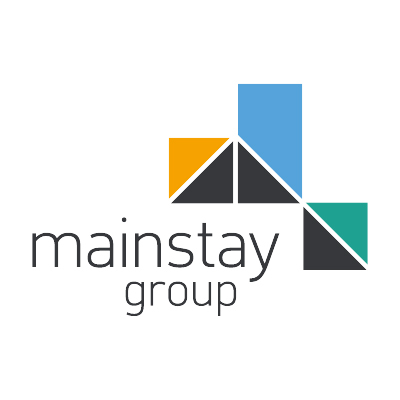 This website is operated by MAINSTAY GROUP LIMITED. All references to ‘our’, ‘us’, ‘we’ or ‘company’ within this policy and within the opt-in notice are deemed to refer to MAINSTAY GROUP LIMITED its subsidiaries, affiliates and associates. We endeavour to protect your personal privacy. We provide this Privacy Statement to help you to understand what we may do with any personal information that we obtain from you. By providing your personal information to us, you signify your acceptance of our Privacy Statement and agree that we may collect, use and disclose your personal information as described in this Privacy Statement. If you do not agree to this statement, please do not provide your personal details to us. This Privacy Statement is incorporated into, and part of, the Terms and Conditions, which govern your use of the site in general. We will use your information only for the purposes set out below. We may need to update this Privacy Statement from time to time. We recommend that you regularly check this page to ensure that you have read the most recent version. 2. What is personal information? Personal information is information about an identifiable individual, as defined by applicable law. It is your choice to provide us with personal information. We will only collect personal information that you choose to provide. In certain instances, we may provide you with the option to select whether you would like to receive information from us or from trusted third parties (for example, by choosing to opt-in or opt-out of receiving special promotional offers). In some circumstances, you will not have the option to opt-out, such as when we are satisfying the obligations of a contract with you, administering a transaction requested by you, or as required by law. You may choose to provide us with personal information if, for example, you: contact us with an enquiry; register on the site; forward an item to a friend; purchase an item; fill out a survey or other form with your personal information included; request us to provide you with information; enter a competition; post information to public areas of the site; or take advantage of a promotion. By providing any personal information to us, you fully understand and clearly consent to the transfer of such personal information to, and the collection and processing of such information in, other countries or territories. Any such transfer and processing by us will be in accordance with this Privacy Statement. Traffic monitoring, e.g., the IP address from which you access the site, the type of browser and operating system used to access the site, the date and time of your access to the site, the pages you visit, and the Internet address of the website from which you accessed the site. To register you in programs and to recognize your website preferences. To recognize repeat visitors for statistical / analytical purposes. Anonymous tracking of interaction with online advertising, e.g., to monitor the number of times that a banner ad is displayed and the number of times it is clicked. To compile and report to third parties (such as advertisers) aggregate statistics about our users in terms of numbers, traffic patterns and related site information. We may also use clear gifs (also known as web bugs or web beacons), which are tiny graphics embedded in web pages and email messages that we use, in connection with cookies, to collect non-personal information from users to analyze site usage, manage content on the site, track visits to other related sites, and track the performance of online advertising. monitor your use of our website(s) in order to make our communications to you as relevant as possible and for other marketing and advertising research purposes. Marketing Communications. We may use your personal information in order to communicate with you about our products and services and those of our subsidiaries, affiliates, and parent companies and any of their related businesses. Marketing analysis. We may use information for internal marketing analysis, for example, to assess trends amongst our consumers or to measure the amount of traffic to our websites. Transactional purposes. We may use your personal information in order to respond to your queries and requests, maintain your accounts, and to manage transactions such as credit card payments for any goods that you order from us or any of our agents, or for the fulfillment of such transactions (e.g., delivery). Forward to a friend. When you provide us with information regarding another individual, such as when you request that we send someone information from one of our website, we will only send that individual the information that you specifically requested that we send. We will not send them additional communications based on you providing us with their information. (f) law enforcement, governmental or regulatory agencies, or other third party in order to comply with law or where we believe such action is necessary in order to comply with law or detect, protect or defend us and/or other third parties against error, negligence, breach of contract, theft, fraud and other illegal or harmful activity, to comply with our audit and security requirements, and to audit compliance with our corporate policies, procedures, legal and contractual obligations. Information that you post on or through the public areas of the site (e.g., chat rooms, bulletin boards and discussion groups) is generally accessible to, and may be collected and used by, others and may result in unsolicited messages or other contact from others. You should not provide personal information about yourself in public (or interactive) areas of the site. Such personal information is not covered under this Privacy Statement. We take security seriously and we take precautions to keep your personal information secure. We have put in place appropriate physical, electronic and managerial procedures to safeguard the information we collect. We have no control over the privacy of any communications while in transit to us. We recommend that you not include confidential, proprietary or sensitive information in such communications. In the unlikely event that we believe that the security of your personal information in our possession or control may have been compromised, we may seek to notify you of that development. If a notification is appropriate, we would endeavour to do so as promptly as possible under the circumstances, and, to the extent we have your e-mail address, we may notify you by e-mail. You are reminded that, in accordance with the Terms and Conditions for this website, which include this Privacy Statement, you are responsible for maintaining the strict confidentiality of any password, and you are responsible for any activity under your account and password. It is your sole responsibility to control the dissemination and use of your password, control access to and use of your account, and notify us when you desire to cancel your account. We will not be responsible or liable for any loss or damage arising from your failure to comply with this obligation. At your request and where the law requires us to do so, we will confirm what personal information we hold about you, update your information, remove your information, fulfill specific opt-out requests, including requests where you have previously opted-in with respect to the use of your personal information, and/or correct any inaccuracies in such personal information if you contact us using the unsubscribe details provided below. The site may contain links or references to other websites outside of our control. Please be aware that we have no control over these websites and our Privacy Statement does not apply to these sites. We encourage you to read the privacy statements and terms and conditions of linked or referenced websites you enter. As required, this Privacy Statement will be supplemented by additional legal requirements in jurisdictions where we conduct business. Nothing in this Privacy Statement or otherwise will create, or add to, any right or claim (whether legal, equitable or otherwise) that any individual or person may have at law or otherwise against the company or any third party or any of their respective directors, officers, employees, agents or representatives, nor will the existence of this Privacy Statement or its application impose or add to any obligations or liability upon RHL does not already otherwise have under law.